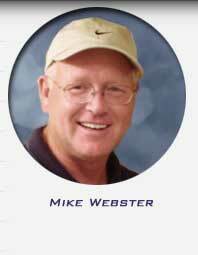 Webster & Associates was founded by Mike Webster in 1999 with the mission of providing Madison, Wisconsin and the greater Dane County region with an exclusive bathroom remodeling service contractor. Mike's 20+ years in the plumbing business have taught him firsthand that most "kitchen and bath" or general remodeling contractors concentrate their efforts on more lucrative kitchen or larger carpentry-type work and give bathrooms little real attention. your ideas were the best of all the contractors we had contacted." COMMUNICATIONS: "very impressed with (1) efficient scheduling, adhering to it and following through on all phases of the operation (2) Camaraderie and cooperation among the sub contractors (3)Courteous answers to all questions (4) Prompt return of telephone calls." CLEANLINESS: "We are delighted with our new "old" bathroom  and the high quality work you provide. We think you're great; especially the tarps, clean shoes and no mess." "I was afraid of what my home would look like after demolition day even though I was told there wouldn't be a mess. When I got home you were vacuuming the steps, the bath room was down to the studs (but neat & tidy) and all of the debris was gone. It looked like no one was in my home at all. Was I impressed and pleased! BEYOND THE CALL OF DUTY: "
I couldn't be happier with the work you accomplished including all the extras you did as well." "You have been outstanding from the beginning of our project.. unfailingly friendly and responsive, full of good advice, always willing to go the extra mile to help us." "Great job done in a professional manner. Life is wonderful! I got the perfect bathroom"
we really like the bath." we are going to miss your smiling faces." they, too possessed the same positive qualities that you have. We were very comfortable having them work in our home. Each did their work exceedingly well and we're especially impressed with their neatness and care of our home. In today's world where everyone complains, we just wanted to express our sincere thanks for people like you."